Join the legion of fans who have made Erin Hunter's Warriors series a best-selling phenomenon. 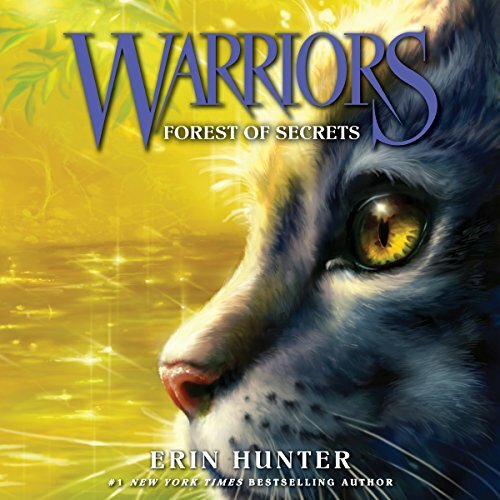 More thrilling adventures, epic action, and fierce warrior cats await in Warriors #3: Forest of Secrets. So much was ripped apart in this book, its reeeeeal tear jerker. I love MacLeod Andrews performance and the depth and emotion he brings to each character and amazingly gives every cat a different voice. I still don't like Greystripes lisp but its sort grown to the point I can ignore it. I mean they cant re-record the book sooooo whatever. I've loved this series since I was in middle school. I'm 26 now and still love it just as much! The story and characters are captivating and the narrator does such an amazing job of giving them all voices. Could not be happier! How the is the book? The Narrator does such an awesome job with the characters. My son and I are on the edge of seats with all of the twists and turns. I love this series!! Audible is amazing! I am so suprised that Graystripe left Thunderclan it is crazy!! !🤪 I litterally have no words😶!!!! My dad and I really enjoyed it. Falto ocho palabras, así que digo unas más. This has to be on my top 5 favorite books throughout Warriors! the narrator was amazing and the story was phenomenal!